I sat down with my brother Peter and there came out a couple of surprises. 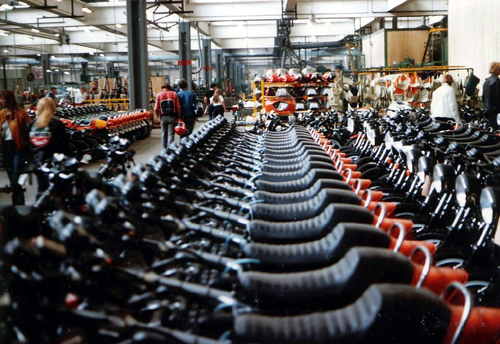 I have some nice pictures of the Laverda factory, assembly line and bikes lined up for shipment. Laverda really is History so pretty interesting. 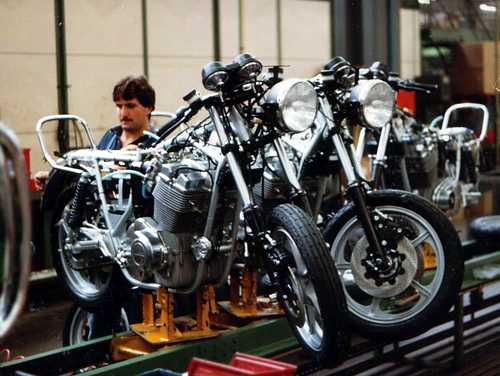 The pictures are taken during a factory visit of the Laverda Club France organized after a meeting in the South of France summer 1981. 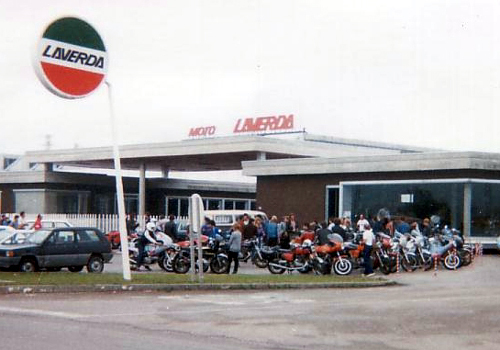 My brother then had a Laverda SF3 build up as a SFC replica visiting both meetings with a couple of Laverda friends traveling from Holland.